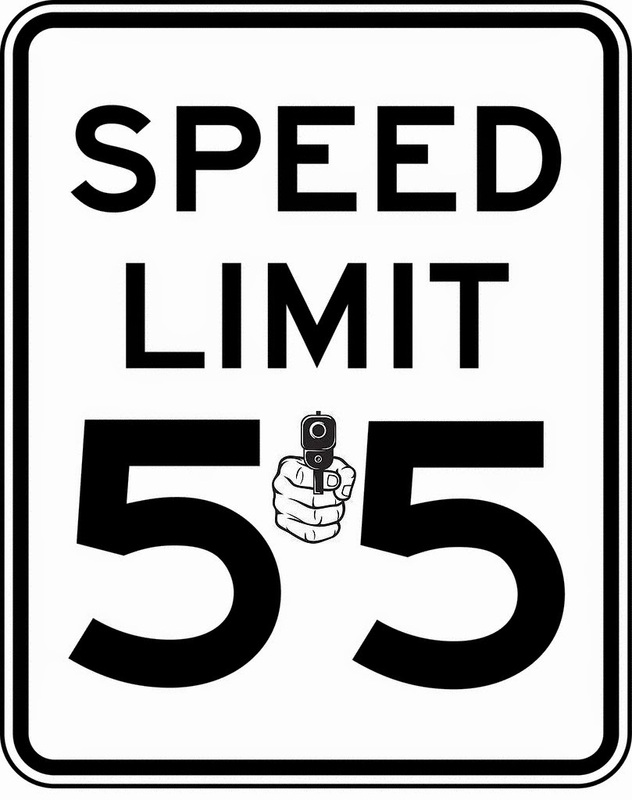 Just think about it: all speed limit signs might as well come with a gun attached. They are a threat to rob you- just looking for justification by making up an arbitrary rule you'll probably break. And, make no mistake, it is an armed robbery. You will be murdered if you resist long enough. I'd like to add stickers to those vile signs to make them more honest. Good one, Kent. If only they showed what government really was: Force! I've always thought that a sticker with the words 'paying taxes', or 'making war' on the lower side of all stop signs is appropriate.